SHOREWOOD, IL--(Marketwired - March 31, 2016) - Shorewood Family Dental Care, a leading family dental office, recently hosted an event for patients and staff members looking for an escape from the wet and cold winter. Staff members at Shorewood Family Dental Care held a special skating event at Channahon Skateland on March 20. The dental team invited all of its patients, offering them free admission to the skating rink and free skating. "We had this party because we were all getting a little stir crazy at the end of this dreary winter, and we wanted an opportunity to get out from our dental chairs and have some fun with our patients," said Dr. Robert Funk of Shorewood Family Dental Care. "It's a real treat to see our patients having fun with their families outside of the dental office." In addition to the free skating, the dental team encouraged participants to donate to the organization Pink Heals Joliet Area Chapter. The organization is dedicated to assisting women and their families, often giving aid and resources to women with cancer or serious illnesses. Dr. Funk said the practice enjoys holding community events every year because the staff gets to interact with patients in a different way. "These community events are great because patients get to see us in a new light," Dr. Funk said. "The more comfortable patients are with us, inside or outside the office, the more likely they are to feel at ease in the dental chair and entrust us with their dental treatments." Shorewood Family Dental Care offers preventive dentistry, cosmetic dentistry, restorative dentistry, children's dentistry, laser gum disease treatment, dental implants and IV sedation. The practice provides orthodontic services like Six Month Smiles and can stabilize dentures or replace missing teeth with dental implants. The practice has eight operatories, digital X-rays, a CT scanner and digital impressions. The office is open for 12 hours Monday through Thursday and from 8 a.m. to 2 p.m. on Fridays and Saturdays. Dr. Funk earned his Doctor of Dental Surgery degree from the University of Iowa in 1991. During his General Practice Residency, he completed training in trauma dentistry from Loyola University Medical Center. He also completes numerous hours in continuing education every year. Dr. Funk holds certificates in IV sedation, dental implants and prosthetic implant restoration, mini dental implants, Six Month Smiles, cosmetic dentistry and laser periodontal treatment. He holds memberships with the International Congress of Oral Implantologists, Dental Organization for Conscious Sedation, Academy of General Dentistry, Illinois State Dental Society, American Dental Association, Chicago Dental Society and Will County Dental Society. Dr. Funk also serves the community as a volunteer with the Will-Grundy Medical Clinic and as a member of the Joliet Region Chamber of Commerce. He also has served on the board of directors for the Shorewood Area Chamber of Commerce. Dr. Henry Vicioso has been a dentist for more than 20 years. He earned his Doctor of Dental Surgery degree from the University of Illinois College of Dentistry and his undergraduate degree in biology from Loyola University of Chicago. Before entering dentistry, Dr. Vicioso earned a degree in electronics engineering technology from DeVry Institute of Technology in 1979. Dr. Vicioso has training in full-mouth reconstruction, cosmetic dentistry and periodontal surgery. He is also certified in dental implants, mini dental implants, Invisalign, Six Month Smiles, laser dentistry and general orthodontics. He is a member of the International Association for Orthodontics, American Dental Association, Illinois Dental Society and Will County Dental Society. Dr. Vicioso is active in the Shorewood Area Chamber of Commerce, Holly Club, United Cerebral Palsy, Joliet Boys and Girls Club, Joliet Junior Woman's Club, Shorewood Hugs, Will Buy Local, Will-Grundy Center for Independent Living and the C.W. Avery Family YMCA. Dr. Vicioso also volunteers dental services at the Will-Grundy Medical Clinic. Dr. Gina Bruck completed her undergraduate studies at the University of Illinois at Urbana-Champaign in 1997, and then earned her Doctor of Dental Surgery degree from the University of Illinois College of Dentistry in 2001. She has completed several hours of continuing education to implement new technology into her procedures. Dr. Bruck has completed training in pediatric dentistry, dental implants and cosmetic dentistry. She is certified in laser dentistry, Invisalign and Six Month Smiles. Dr. Bruck holds memberships with the International Association for Orthodontics, Illinois Dental Society, Will County Dental Society and American Dental Association. She also supports the C.W. Avery Family YMCA and the Will-Grundy Medical Clinic. Shorewood Family Dental Care is declaring 2016 as "The Year of Your Best You." Visit www.ShorewoodFamilyDentalCare.com to schedule an appointment or consultation, see all the practice's amazing services or watch patient testimonials about their latest smile transformations. Patients can always call the office at 815-768-1615. Dr. Funk holds certificates in IV sedation, dental implants and prosthetic implant restoration, mini-dental implants, Six Month Smiles, cosmetic dentistry and laser periodontal treatment. He holds memberships with the International Congress of Oral Implantologists, Dental Organization for Conscious Sedation, Academy of General Dentistry, Illinois State Dental Society, American Dental Association, Chicago Dental Society and Will County Dental Society. Dr. Funk also serves the community as a volunteer with the Will-Grundy Medical Clinic and as a member of the Joliet Region Chamber of Commerce. 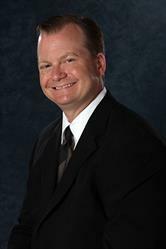 He also has served on the board of directors for the Shorewood Area Chamber of Commerce.